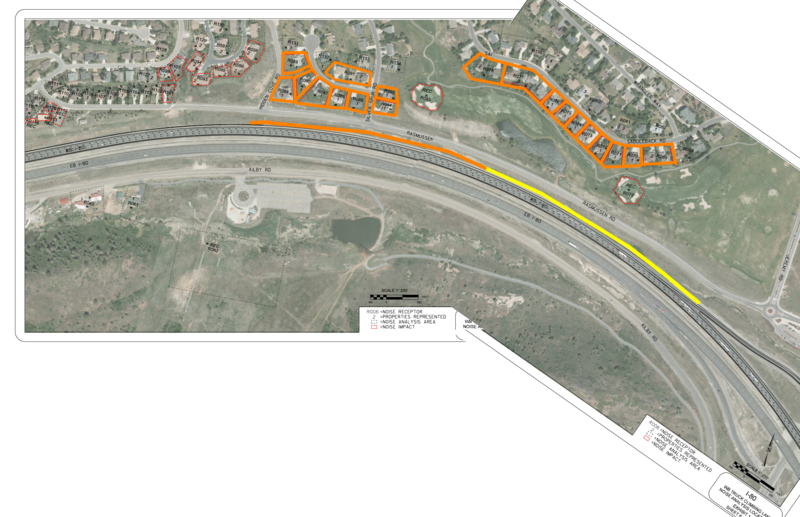 As the Utah Department of Transportation (UDOT) moves forward on plans for its proposed, 3,200-foot long sound wall on I-80 from Parley’s Summit to Jeremy Ranch, homeowners excluded from the balloting process are now petitioning Governor Herbert. Residents of Jeremy Pointe were denied the right to vote despite being in closer proximity to the highway than the homeowners behind the Jeremy Ranch Golf & Country Club who were invited to cast votes. According to UDOT, the existing noise level for some of these homes is as high as 70 dBA, well above the UDOT noise abatement criteria (NAC) of 66 dBA. The proposed noise barrier would be 17 to 20 feet in height and approximately 3,200 feet long, which would impact the views of many while detracting from the scenic beauty and open space visitors and locals have long appreciated when entering Summit County. UDOT balloted only two-dozen Jeremy Ranch homeowners, while the greater community, including these 24 residents, would be adversely impacted by a permanent visual stain on the area’s natural beauty. For more info, visit https://www.citizensagainstthewall.org/. Members of CATW are available for media comment. Please contact Hilary Reiter at Redhead Marketing & PR to schedule interviews, Hilary@redheadmarketingpr.com or 435.901.2071.